WHITING CHALLENGE 2019 - Congratulations to ALL Winners. Results & photos have now been posted under Events Page. *** Club Merchandise is now available. Click on "Merchandise" under "Members" Button. *** Fish Tagging Newsletters page under "HOME" button. ***Hastings Foreshore Precinct Plan*** For more information Click on "Hastings Foreshore Precinct Plan" Under "HOME" button. 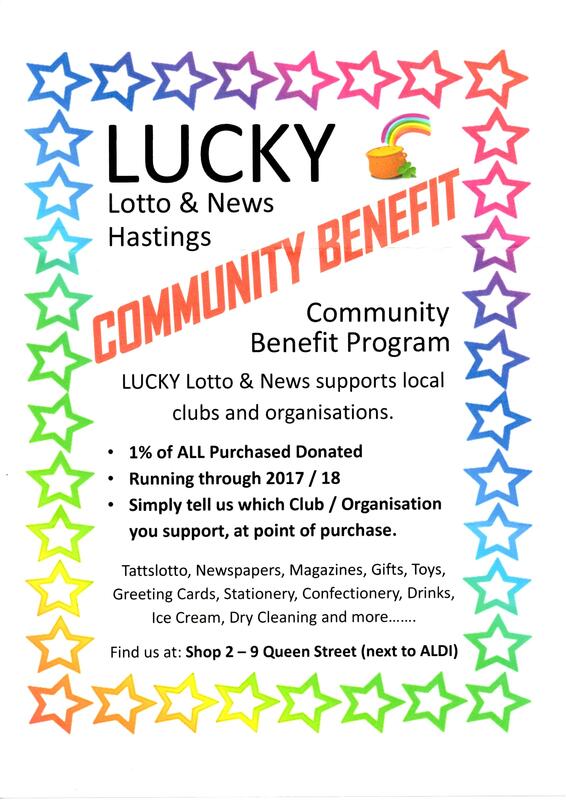 ***Lucky Lotto & News Hastings*** Have a Community Benefit Program & donate money back to our Club based on the value of spending by anyone nominating the WPAC as the organization to support. Click the button below to see more detail. Westernport Angling Club Inc. (WPAC) is a family oriented fishing club located in Hastings. Our assets are our members who are always willing to share their knowledge and experience with new members. We aim to encourage current and future generations of anglers to be active members and reap the benefits of being involved in a great angling club. We have a number of events throughout the year including fishing competitions, monthly meetings and social events. We strive to be a family club that supports Junior, Family and Senior participation. Our Annual Whiting Challenge is one of the biggest fishing competitions open to the public in Victoria and we aim to increase participation each year. The Club is affiliated with the Game Fishing Association of Victoria & Australia and some of our members hold State, National & World Game Fishing Records. Monthly meetings take place at the clubrooms, located next to Hastings Boat Ramp, Marine Parade, Hastings, from 8pm on the 3rd Wednesday of each month. We have a Licensed Bar, visitors and prospective members are welcome.